You want to start exercising. You want to eat right. You want to look good in those jeans sitting in the back of your closet from 3 years ago. Problem is, there’s such a mountain of fitness model gurus, supplements, and fad diets to wade through, it’s hard to know where to even begin. Each year, our Fitness Award goes out to one person, or organization that has shown a PROVEN track record of giving sound, realistic, and useful fitness advice, that leads to ACTUAL results. Considered one of the biggest stars in the fitness industry, Venezuelan born Michelle Lewin offers a girl-next-door appeal that has won her fans who range from hard-core fitness addicts to those new to bodybuilding, all of whom can participate in her popular 21-day challenge via a smartphone app. With nearly 403K Twitter followers, 9M Facebook followers and 14M Instagram followers, Michelle’s social media fanbase grows by 20,000 per day. Cofounder of The Bikini Body Training Company, Australian personal trainer, author, and entrepreneur.Kayla Itsines was included in Time Magazine’s 30 most influential people in the Internet in 2016 and is Forbes #1 fitness expert in2017. She offers the Sweat With Kayla phone app to bring health and fitness to all. A leader in the positive body movement. Ashley Graham is the first plus sized model to grace the cover of popular magazines such as Vogue and Sports Illustrated‘s swimsuit issue. A size 14, she has caused us to redefine images of health and beauty. As a body activist and for women everywhere, Ashley routinely speaks at conferences about female empowerment, body image, and self acceptance. She has named to Forbes Magazine’s “30 under 30” list in 2016 and has accrued many other honors as well, including being on “Most Influential” lists of time and people magazine and Glamour Magazine’s 2016 Woman of the Year. Mattel Toy Company created a Barbie in her likeness that is proportioned the same way as are real life women. 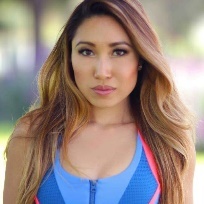 Pilates instructor Cassey Ho has over 3.5 million subscribers on her You Tube channel Blogilates, while partnering with 24 Hour Fitness locations to launch Pop Pilates, her IRL (In Real Life) workout. An Internet sensation, she is dedicated to promoting a healthy lifestyle and body image, and has won a Shorty Award for her contribution to fitness on social media. 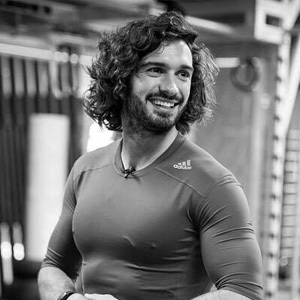 Fitness coach Joe Wicks is also an author who specializes in cookbooks for healthy living; his popular book Lean in 15 was a bestseller in 2015. Starting out on Twitter where he now has 5 million followers, he sees the value of social media for promoting is brand and now uses Instagram to share health tips and delicious recipes. He received a Shorty Award for Health & Wellness. 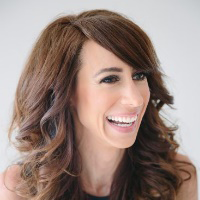 Voted among the top 100 most influential persons in health and fitness by Greatist, celebrity trainer Anna Kaiser uses dance for fitness, which she promotes through an on-demand platform on her website and a smartapp. With four AKT studies, she curates online sessions and offers private celebrity sessions. She promotes a line of accessories and apparel in Target that run from XS to 4X, sizing inspired by the changes in her own body during pregnancy. 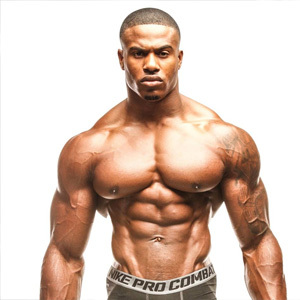 Simeon Panda is natural bodybuilder and fitness model who offers online training and nutrition programs, as well as a line of clothing and accessories. Admired for his aesthetic physique, which features a wide back and slim midsection., unlike the distended abdomen so bodybuilders who use steroids, his appeal has resulted in a fan base of over 8 million on social media. Jen Selter is a fitness model whose selfies (or belfies) of her well-developed glutes made her an internet sensation. With nearly 11 million fans on Instagram, she promotes fitness, a food, workout motivation, and lifestyle tips. With multiple social media pages, she encourages her fans to interact and stay connected as they pursue a fitter lifestyle. 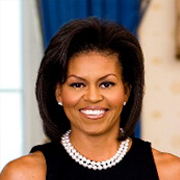 Michelle Obama used her position as First Lady of the United States to change the national discussion about healthy eating and childhood obesity. With her Let’s Move! Program, Ms. Obama emphasized the importance of eating right and starting exercise as children to stem the obesity epidemic in America. To emphasize the importance of eating fruits and vegetable, she grew an organic garden and installed beehives at the White House to feed her family and supply state dinners. Many school districts continue her initiative. 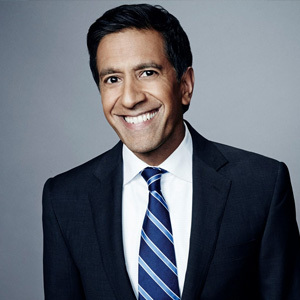 Dr. Sanjay Gupta is an Atlanta-based neurosurgeon well known as an award-winning CNN reporter, CBS special correspondent, Time columnist, and best-selling author. Millions of visitors to doctor’s offices and hospital see his program Health Matters on waiting-room TV’s, where he offers health tips and analysis of current health issues, such as insurance reform and medical marijuana. Certified trainer Natalie Jill emerged as fitness guru after her own life journey took her through personal challenges that affected her weight and mental health. Realizing she could control her health if nothing else, she turned her passion for fitness into a popular program of equipment-free exercise that she posted on Instagram and developed her 7 day Jump Program. She invites website visitors to join her NJFit Squad Community to help lose3 weight and get fit with the help of an online network of friends..
Melisa Hartwig introduced the revolutionary Whole30 program 2009 which encourages followers to remove white sugar, breads, diary, desserts, booze, and most processed food from their diets for 30 days. As a Certified Sports Nutritionist and best-selling author, she offered tasty recipes based on her program. Her Whole 30 website attracts 2 million unique visitors from around the world each month, and she has a social medial base of more than 2 million followers. 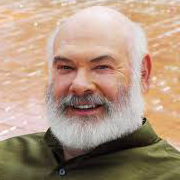 Celebrity doctor Andrew Weil , is a physician, author, spokesperson, and the internationally-recognized “guru” of the alternative medical approaches of holistic health and integrative medicine. Since 1975, he has promoted the value of treating the whole person (mind, body, spirit) and of adopting a non-inflammatory diet – tow concepts that have become popular among mainstream audiences. His books on health care and the need for healthy lifestyles, now focused largely on the elderly, are routinely best sellers. A yoga teacher, body activist, and writer from Durham, North Carolina, Jessamyn Stanley encourages her students of high energy vinyasa flow yoga to ask themselves “How do I feel?” Rather than “How do I look?” Admittedly “larger-bodied,” she believes that “yoga for every body” can help practitioners embrace who they are ad move with confidence. Her promotion of “curvy yoga” has won her over 306,000 Instagram followers and a large presence on all social networks.